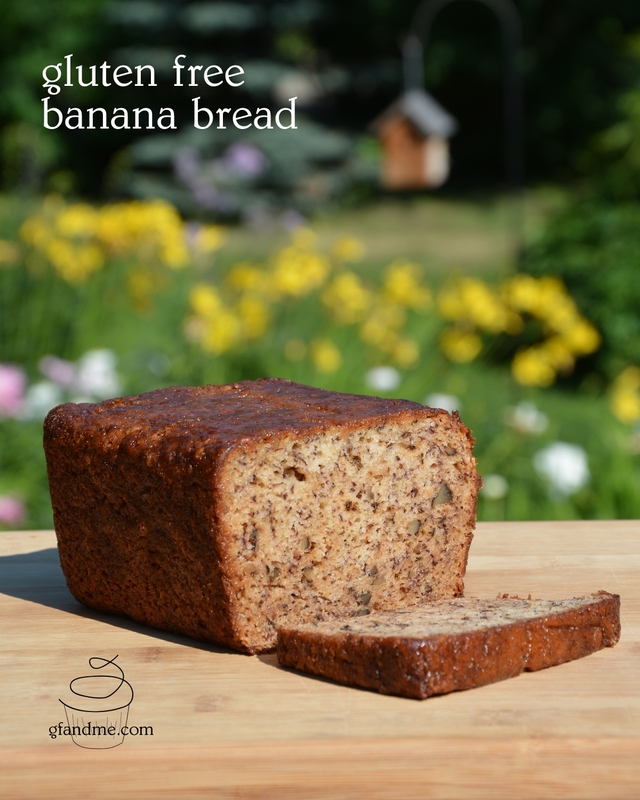 Makes a super banana bread that tastes great warm or cold and stays moist – even after a few days! You may want to make two of these so you can have enough for banana bread french toast in the morning. Amazing! My mom brought one of these over the other night. She’d made it using Cup 4 Cup gluten free flour and it was exceptionally good. Below you’ll find two versions of this recipe. Our old one – which is gluten and dairy free and is also great – and one using Cup 4 Cup flour which is shown in the photo above. 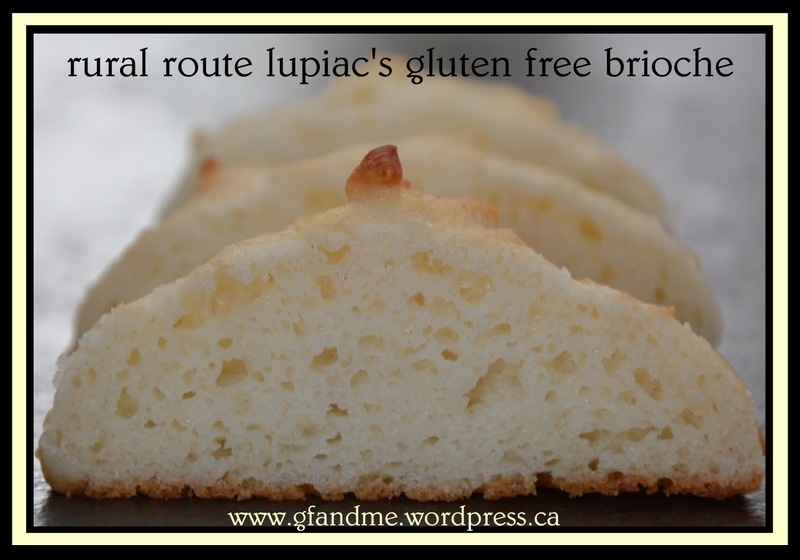 Rural Route Lupiac is one of our favorite gluten free recipe sites – especially when it comes to breads and pastries. Often she uses Expandex in her recipes which we can’t get here in Alberta, so we were thrilled when she converted her brioche dough to omit the modified starch. As you can see, the results are fantastic. The crumb is tender and rich – chewy but not gooey. It reminded Geoff of the texture of a cruller. And the taste was slightly sweet with a hint of yeast. See below for more of our review and for a link to the recipe. Wondering what to do with left over mashed potatoes? Why not make cake! 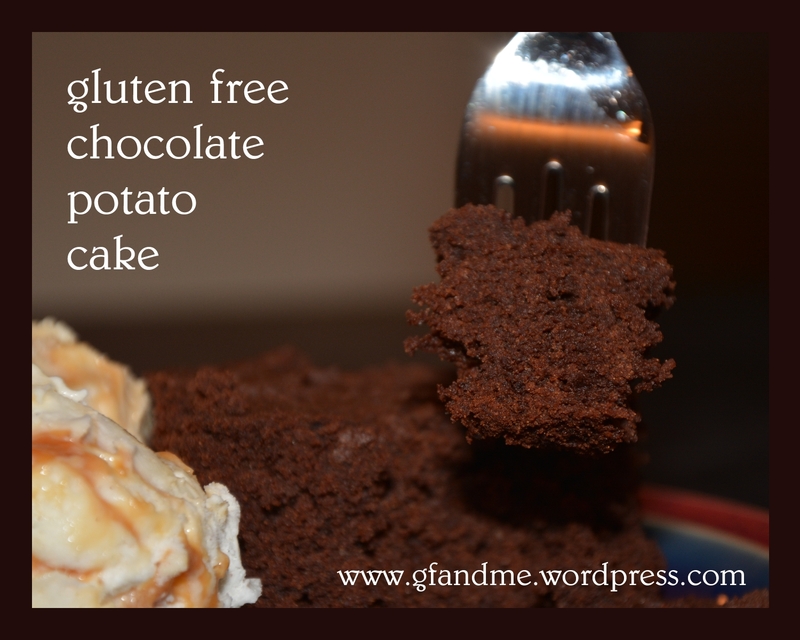 This chocolate potato cake is one of the lightest gluten free cakes we’ve tried. It has a fluffy, crumbly texture and a mild chocolate flavour. You’d never guess that the recipe uses mashed potatoes! This is a conversion of a recipe that I came across in our local paper. (I also halved the recipe which explains some of the odd measurements.) The caption in the paper says that the potatoes boost nutrition, but I’m not so sure about that! 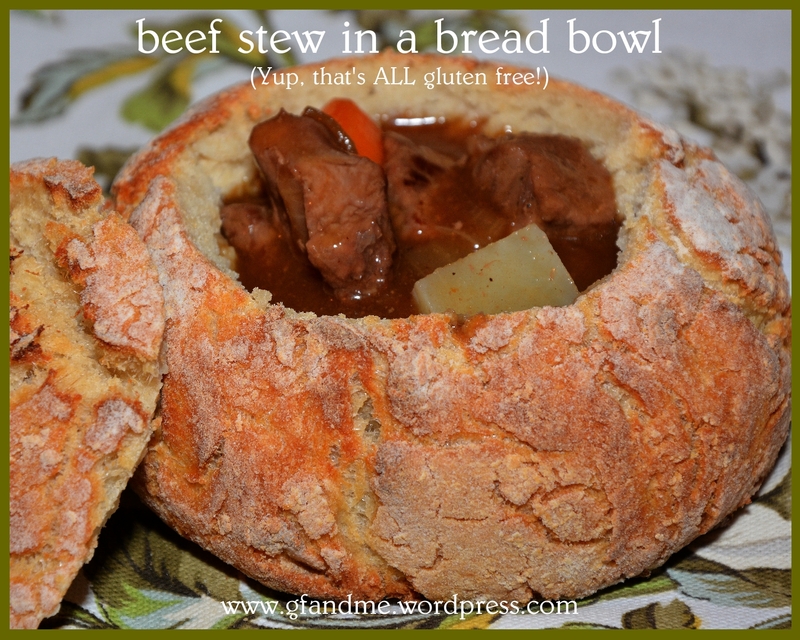 This gluten free beef stew makes a hardy savory dinner and any leftovers can be frozen and reheated for busy weeknights. We think that the trick to an excellent stew is a lot of beef flavour – we are from Alberta after all! With a triple hit of beef stew meat, beef stock, and beef bouillon, this recipe fits the bill. Oh, and carrots – for some reason I love carrots in stew. Last year, in honour of St. Patrick’s Day, we decided to try making gluten free bread bowls. Our Crusty Bread recipe was just the right size and held up well! Like this? 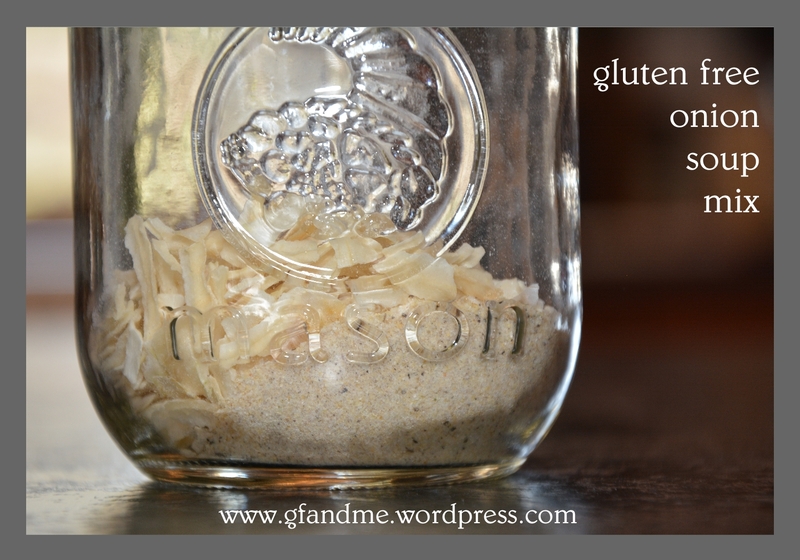 You might also like these other recipes from gfandme.com! Once you have this around for a while you’ll wonder what you did without it. This onion soup mix is great to use for a quick cup-of-soup, for dips, a rub for meats, or a base for sauces, soups, stews, and gravies. Stored in an airtight jar, it will last for at least a month. Below you will find a recipe for the onion soup mix as well as some suggested ways to put it to good use. 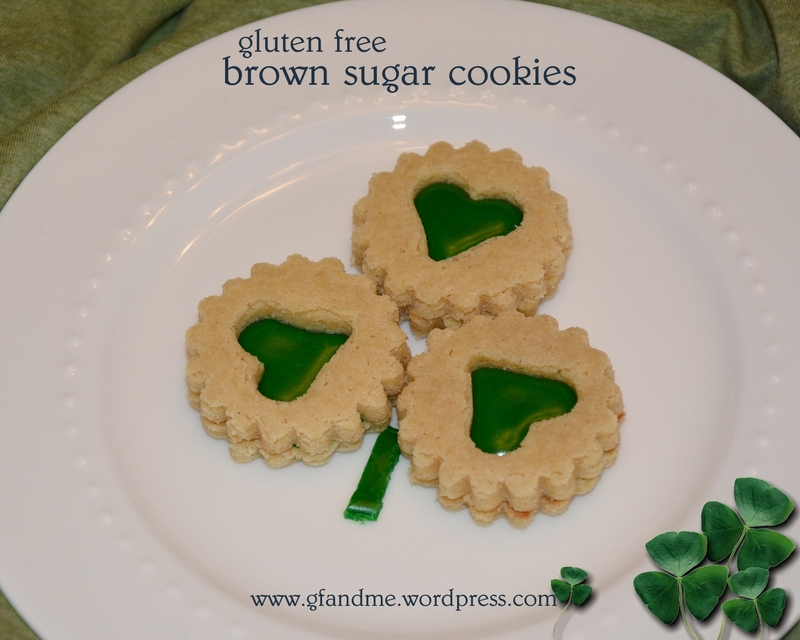 gluten free brown sugar cookies – just in time for St. Patrick’s Day! These gluten free brown sugar cookies are light and sugary with a texture that’s slightly crispy at first but then dissolves into melt-in-your-mouth buttery goodness. And with only five ingredients, the cookie dough is also incredibly quick and easy to make. While the cookies themselves are quick and easy, these linzer-style sandwiches take a bit of work to put together (instructions below) but they are certainly worth it for a St. Patrick’s Day treat! Scroll down for the recipe. 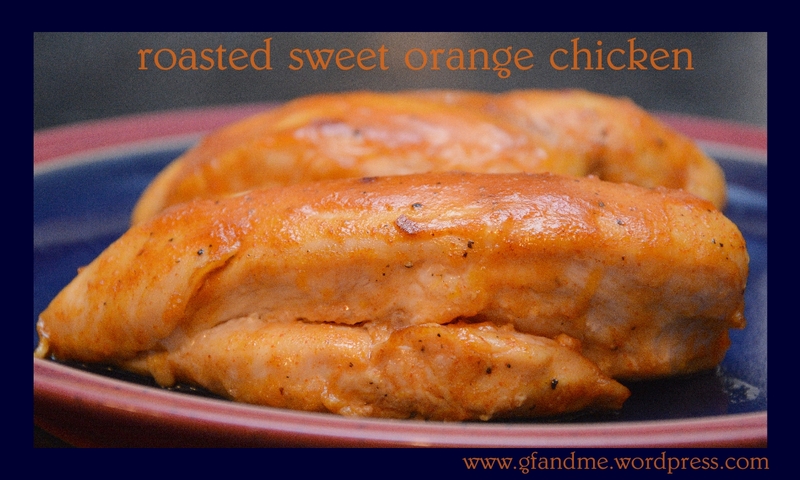 Marinated in a honey-orange marinade, this chicken comes out of the oven soft, tender, and juicy. The zest in the marinade really adds the flavour of oranges to the dish which also has a hint of spice from the chili pepper and sweetness from the honey. Goes well with a tossed salad, or for something heartier, pair it with rice. Inspired by our trip to Maui, Geoff and I decided to try to make something that would bring together some tropical island flavours. 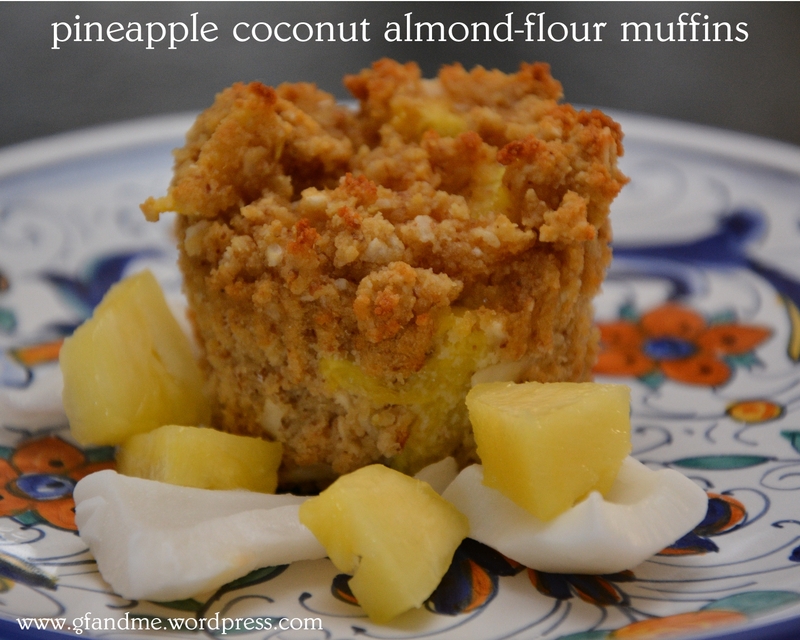 Made with Tahitian vanilla, shredded and ground coconut, and chunks of fresh pineapple, these Pina Colada Muffins certainly do the trick. On top of all that, the almond flour base makes them hearty and the applesauce keeps them moist for days. We will certainly be making these again! These are based on the almond flour raspberry muffins we posted earlier. Like those muffins, these should be stored in the fridge and taste even better the next day when the flavours have a chance to meld.